Carbohydrates have been given a bad reputation thanks to several health and fitness experts who pointed a finger at the public for consuming foods with high percentages of these macronutrients. Among those health-conscious, public disdain for carbs continues, leading to confusion about good carbs, bad carbs, whether they are unhealthy, and if they can expand your waistline. The truth about carbs is they’re not all created equal. Rene Ficek, lead nutrition expert at Seattle Sutton’s Healthy Eating, told Medical Daily in an email: “Healthy diets include a variety of foods and are rich in fresh fruits and vegetables, lean proteins, healthy fats, and whole grains. Many health organizations urge people to take a safe and proven route to losing and maintaining weight by including healthy sources of carbohydrates.” From “net carbs” labels to cutting out bread, cereal, and pasta for a low-carb diet, here are five of the most common carb myths dispelled, to protect your digestive health. False: “Net carbs” is a term the food industry created to make consumers believe their products actually contain fewer carbohydrates. Food manufacturers take the carbohydrates coming from fiber or sugars known as “alcohol sugars” and subtract them from the total amount of carbohydrates to arrive at a net carb number. However, there is no legal definition of the “net,” “active,” or “impact” carbs on food labels. The Food and Drug Administration (FDA) only regulates the carbohydrate information in the Nutrition Facts label, which only lists total carbs and breaks them down into dietary fiber and sugars. “The concept of net carbs is based on the principle that not all carbohydrates affect the body in the same manner. Carbohydrates in the form of fiber found in whole grains, fruits, and vegetables, move slowly through the digestive system, and much of it isn't digested at all (insoluble fiber),” Ficek said. However, the insoluble fiber is not seen as a “net carb” by food manufacturers because it has a small impact on blood sugar, and provides less calories than other types of carbs. 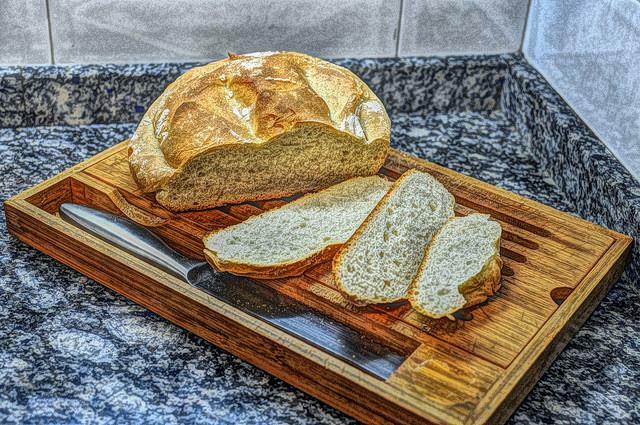 Moreover, a low-carb diet requires carb intake to be super low, around 20 grams of carbs each day, Jayde Lovell, a biological scientist and science communicator at Did Someone Say Science told Medical Daily in an email. Consuming this amount of carbs puts the body into ketosis, which means the body is using fat as an energy source. “Many high-protein/low-carb foods, shakes, and bars also contain over 20g of carbs — so even though you may be consuming 'less' carbs, you might still be consuming too many to push your body into ketosis,” she said. False: The body needs carbs to survive since it’s the body’s preferred energy source. Therefore, many people believe that carbs only come in the form of bread, cereals, and pasta, but this is not the case. These foods tend to be made with grains that are modified and contain proteins that the body is not designed to break down efficiently, which especially affects those diagnosed with celiac disease, or a gluten intolerance. Jenny Giblin, a therapist, and certified nutrition coach featured on the Dr. Oz Show, among other others told Medical Daily in an email: “[If] if you read the ingredients on many processed food labels, you will see that they contain many ingredients that are not healthy for your body at all (for example, high fructose corn syrup or modified corn starch). Many are made with GMOs (genetically modified ingredients) and GMOs are now being linked to many health issues, including cancer.” Moreover, these carbs take longer to break down in the body, and may end up beign stored as fat rather than metabolized as energy. If they’re not stored as fat, they may end up being converted to sugar, which causes a surge in blood sugar, and then causes it to crash. False: Sugar tends to be the main problem, along with the way those types of carbs have trouble adapting to our body for digestion. Giblin doesn’t recommend going on a low-carb diet from personal experience. “Trust me, I have tried everything, and from personal experience and years of research, I have learned that the easiest way to be the perfect weight for you and your body is by being healthy, repairing digestion, and eating foods that are naturally assimilated as energy, making you both look and feel like the healthiest version of yourself,” she said. It’s best to not just look at the numbers on a label, but read the actual ingredients to find sources of sugar, artificial flavoring, and artificial sweeteners to avoid an increase in sugar cravings. Maybe: There are different types of carbs: simple and complex. Simple carbs include candy bars, soda, and baked foods, while complex carbs include whole grains, fruits, and beans. Complex carbs provide fiber to aid gastrointestinal health, slow released carbs for sustained energy levels, and fuel for the brain. Unlike complex carbs, simple carbs “create a surge in blood sugar that wreaks havoc on energy levels,” Ficek said. Lisa A. Reed, fitness expert, trainer, certified strength and conditioning specialist, and owner of Lisa Reed Fitness LLC, suggests being wary of ingesting large amounts of carbs because it can lead to weight gain. Reed told Medical Daily in an email: “[Bad carbs] are called “bad” because they contain little nutritional benefit.” “Bad” simple carbs include: friend foods, sweets, and whole milk. Good carbs, known as complex carbs, include potatoes, whole wheat bread, rice, cream of wheat/oatmeal, high fiber cereals, whole grain pasta (low in salt, sugar and fat), noted Reed. These carbs can also be found in fruits, vegetables, and whole grain products. Good sources of fibrous carbs include beans and asparagus, among many others. False: Food and drink are essential to recovery after a good workout no matter what time of day you exercise. It is important to follow up with meals that combine protein, which helps the muscles recover, and carbs, which replenish energy stores. The intensity and duration of your training determines how relevant simple carbs are post workout. Typically, after 90 minutes of intense training, everyone's body has depleted all of its glycogen stores and will therefore look for what they have lost. “The reality however, is that most people do not even come close to meeting this criteria, so indulge in your post-training, simple carbohydrates sparingly,” Chris Weiler, a performance expert to athletes and author of the nutrition book, The 3/4 Rule - How to Eat as An Athlete, told Medical Daily in an email. He considers fruits as one of the best carbs to have after training. Avoid these common carb myths and eat your way to a happy and healthier you.